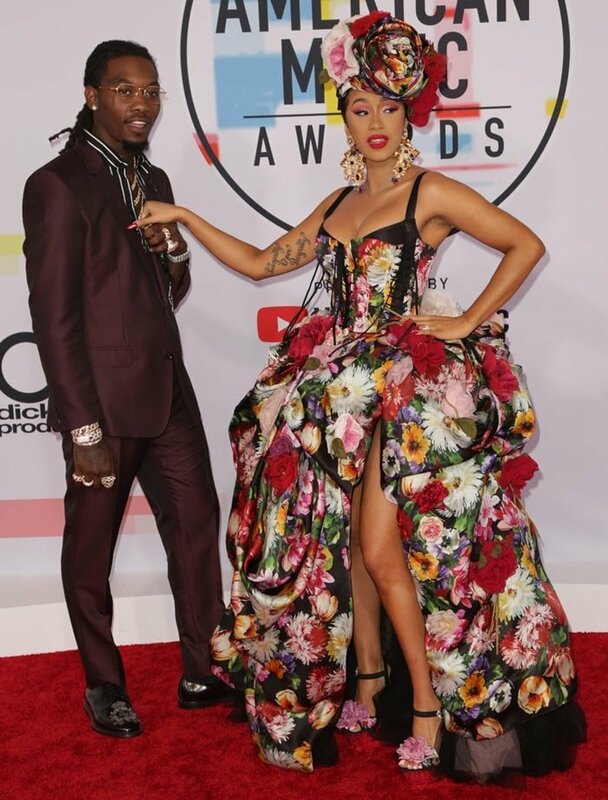 Cardi B got everyone talking with her floral outfit at the 2018 American Music Awards on Tuesday. She was joined by her husband, Offset, Kelsea Ballerini, Jennifer Lopez, Taylor Swift, and Halsey. In addition to being nominated for eight prizes, during the show, she performed her song “I Like It” with collaborators Bad Bunny and J Balvin. The 25-year-old rapper caused a stir in a floral-printed Dolce & Gabbana Spring 2019 gown paired with a matching hat that would fit in at a royal wedding. 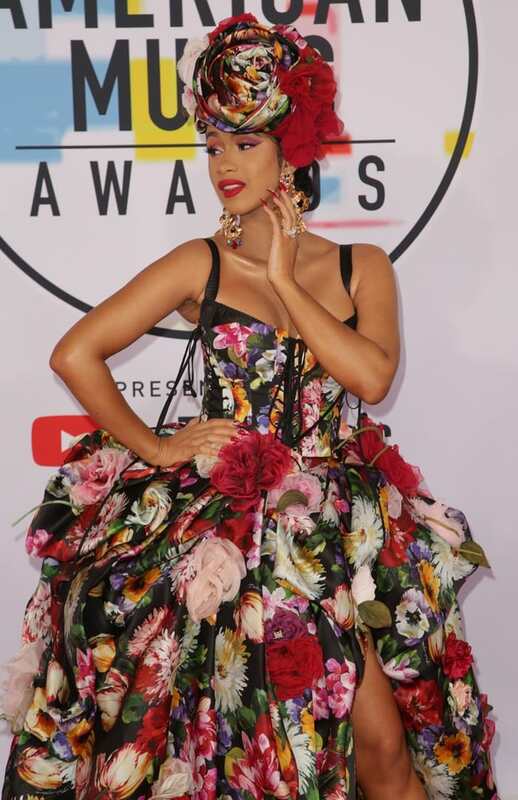 Looking like a walking bouquet in her thigh-high slit dress, Cardi accessorized with incredibly large earrings, soft pink eyeshadow, and gold platform sandals covered in petals.